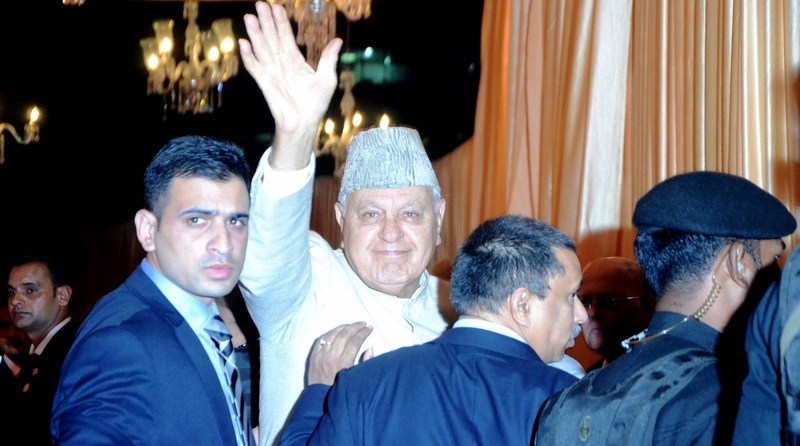 National Conference president and former chief minister Farooq Abdullah is playing a key role in building a countrywide alliance to take on Prime Minister Narendra Modi in the Lok Sabha elections to be held next year. Abdullah is currently engaged in the spadework of bringing anti-BJP political parties on one platform as they, to some extent, believe that only a unified opposition would be in a position to dislodge the Modi government. The recent win of Congress in the three states of Hindi heartland has come as a shot in the arm for the anti-Modi parties. Mayawati’s support to the Congress government in Madhya Pradesh was being viewed as a step towards the grand alliance. Abdullah has been touring the country in a bid to reduce the differences among the anti-BJP players. He told this correspondent that he was confident of the anti-BJP parties forming the grand alliance before the Lok Sabha elections. During a recent visit to Kolkata, he took the opportunity to meet chief minister and Trinamool Congress chief Mamata Banerjee and is learnt to have impressed upon her to sink differences with the Congress. Abdullah also had lengthy meetings with the Andhra Pradesh chief minister and TDP chief N Chandrababu Naidu and NCP supremo Sharad Pawar last month. Abdullah is known to have friendly relations with the leaders of almost every political party and as such is playing the role of peacemaker among the anti-Modi leadership before the crucial general elections. 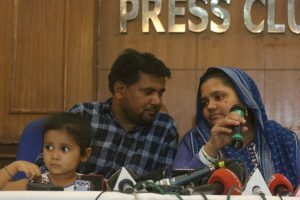 Abdullah might avoid political tinkering in the neighbouring Punjab where he enjoys close relations with the Akali Dal leader and former chief minister Parkash Singh Badal who is a very close ally of the BJP led NDA. During his Kolkata visit, Abdullah pitched for Rahul Gandhi’s candidature for the PM’s slot and said that the grand alliance leadership should have no objection on the issue. As chief minister, Abdullah had enjoyed very cordial relations with Rahul’s father and the then PM late Rajiv Gandhi with whom he had an accord in early 1986. The National Conference-Congress alliance swept the Assembly elections the next year. Abdullah maintained good relations with the Congress although during the Vajpayee era in 1999 he was the chief minister of J&K and his son Omar Abdullah was a minister in the BJP led NDA government at the centre. Like other constituents of the NDA, Vajpayee took Abdullah into confidence on major issues. Deputy chief minister of Rajasthan, Sachin Pilot, is the son-in-law of Abdullah. Back home in J&K, Abdullah is in a jubilant mood as leaders of other parties are making a bee-line to his party National Conference. Reacting to Abdullah’s recent statement that autonomy will be granted within 30 days to all three regions of the state if his party was voted to power, Jitender Singh, minister of state in the PMO said that the National Conference had “meekly” accepted rejection of its autonomy resolution by Vajpayee’s NDA government at the centre.